From the ancient years, the water supply of Athens was based on the traditional local city brooks, such as the Iridanos and the Ilissos, as well as a well-refined aqueduct network. Parts of that ancient network are still in operation even nowadays in the underground of the modern metropolis. Its most characteristic element, the legendary Hadrian’s Aqueduct, has become one of the major landmarks in the Attica Basin. In the framework of the project “Restructuring of the Surroundings and Accesses of the Olympic Village of Athens”, parts of the historic brook system in the starting area of the Hadrian’s Aqueduct have been restored. 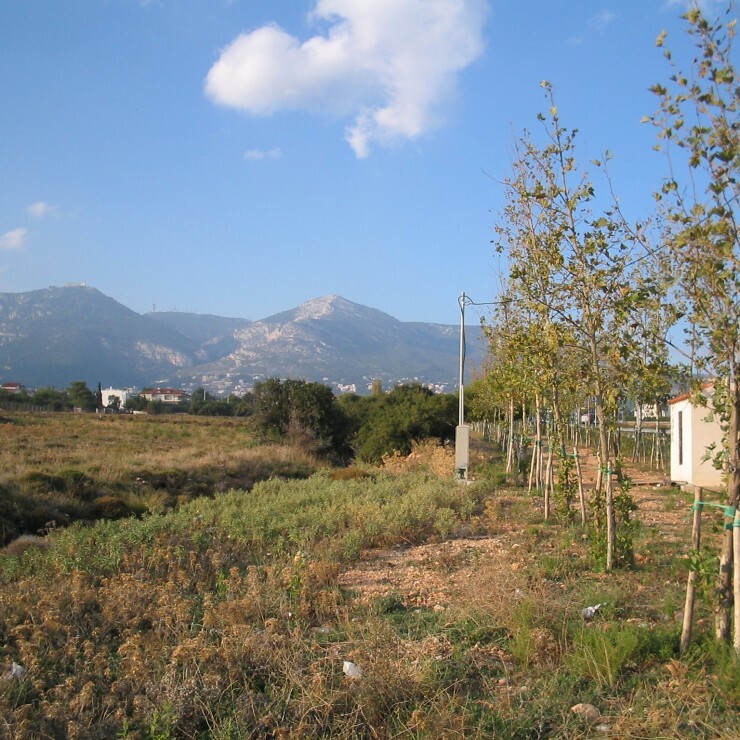 The brook bed is highlighted in the open landscape by 182 platanus trees (Platanus orientalis), which also protect the brook slopes against the recently constructed Kymis-Avenue. To some degree the re-planting of the brook system could also offer traffic noise protection for the Xenodochoypallilon Neighbourhood Settlement. Additionally, the aforementioned settlement achieved an organized overall green structure by expanding an existing pine grove. For this scope 276 pine trees (pinus pinea) have been planted in the neighbourhood streets. 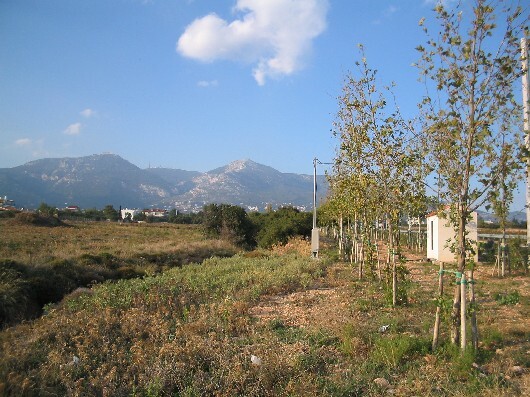 This introduction of a new ‘green floor’ built by the pine treetops harmonizes the diffuse settlement structure and provides, in combination with the brook plantings, an intensive green zone, which is able to delimit the Olympic Village complex and to unify the tourist-relevant Parnis Mountain area with the Kiphissos riverbed.